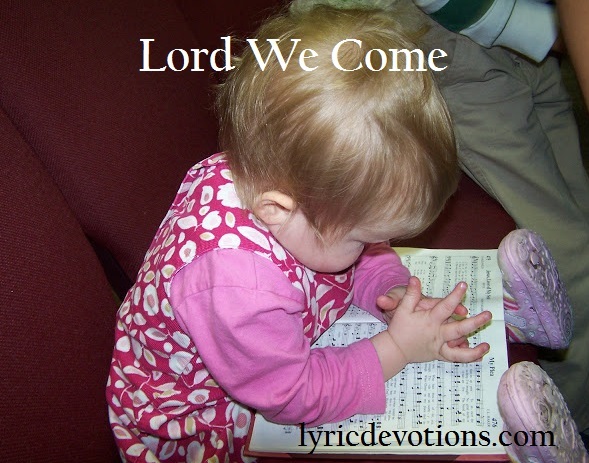 Lord we come before you, with hearts in one accord. We praise your holy name, and thank you for your word. you'll touch a wounded heart, and draw him by your grace. knowing you alone can save. Lord we come before you, through Jesus precious blood. Rejoicing now in hope, we thank you for your love. Lord we come and we bow down to plead for one in need. We lift him up in prayer and lay him at your feet. I think this will be a great addition to the movie! Hope it's all coming together for him (and you). We're well into our summer living over here, and it's hot! I've got to think of some creative, cheap ways to entertain my young ones in this time (maybe we'll make a movie! ).